Applying for housing loans and other requirements can be tedious enough. However, just like applying for a job, there are rules in place that prohibit discrimination of any kind. According to hud.gov, there is a specific office that deals with this issue. 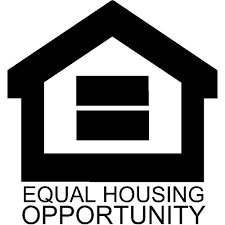 The Office of Fair Housing and Equal Opportunity (FHEO) assists with issues of housing discrimination. Their mission is to “eliminate housing discrimination, promote economic opportunity, and achieve diverse, inclusive communities.” Specifically, they do not allow discrimination based on race, color, religion, gender, disability, national origin or familial status. In fact, the FHEO works with government agencies to ensure people get a fair deal, and they work with private industry and community advocates to ensure compliance. The FHEO also enforces the Fair Housing Act, Title VI of The Civil Rights Act of 1964, Title II of the Americans with Disabilities Act of 1990 and several other policies. The Powell Group is here to ensure that everyone we work with gets fair and equal service in pursuing the home of their dreams. Our team is here to answer any questions or concerns you may have.